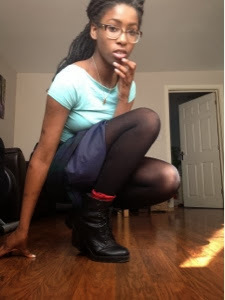 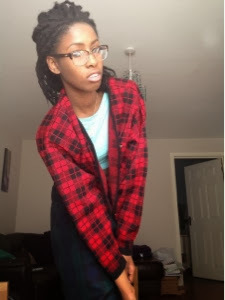 Tiana Esparon: OOTD: Am I Scottish? 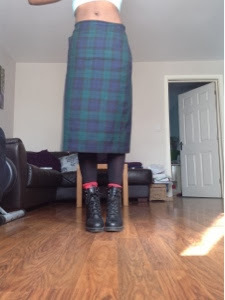 So I've been seeing a lot of people wearing tartan recently so I thought I'd go all out and make a real statement. 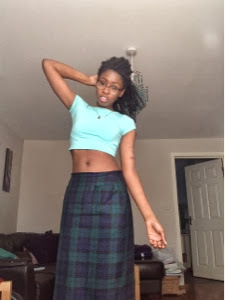 I absolutely love this skirt but it's a little too big and can make me look frumpy so I wore a crop top with it; luckily it was a fairly nice day today. 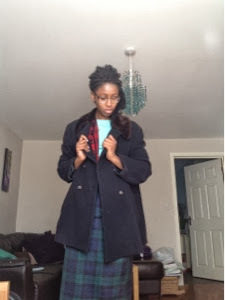 I also wore black bike boots, a tartan cardigan and my new coat which I bought from a charity shop for only £18 :D oh and my mum bought me some really cute tartan socks from Primark!